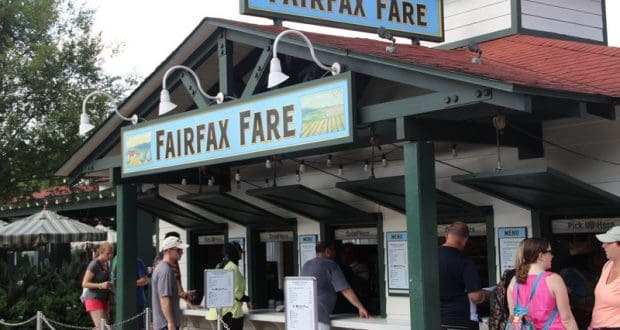 We have heard that there will be an exciting breakfast addition coming to Fairfax Fare at Disney’s Hollywood Studios. The Walt Disney World location is said to be serving breakfast for a limited test. The test is expected to run from April 22nd, 2018 through May 5th, 2018. Breakfast will be served from 9 AM to 11 AM each day during the test. We expect that this limited time test is to gauge the popularity and response that the location receives from offering breakfast. This is also probably to test out the operational impacts in preparation for Toy Story Land to open this summer. The opening of the new land will have an impact on the volume of guests coming through the park, so we suspect that Disney has realized that they will need more quick service breakfast options to meet guest demand. The location will still serve the regular menu during the usual operations hours, which start at 11:30 AM. We will keep you updated as we learn more about this test and whether it may be come a permanent breakfast option for guests visiting Disney’s Hollywood Studios. Which of the breakfast items would you most like to have to start your day in the park?